Ramirent now takes the next step into the world of virtual reality (VR) with its new digital platform Ramirent TwinSiteTM. A virtual construction site in full operation - designed for training and communications for better safety, sustainability and efficiency. "Our mission is to make the construction sites safe, sustainable and more efficient. We have several digital innovations in progress, which make it possible to take work to the next level. Ramirent TwinSiteTM is first out. For our customers, our solutions mean that they get the benefit of Ramirent's expertise at an early stage in their planning processes and thus receive help with solutions for the safest, most sustainable and effective ways to build," says Anders Vikmyr, Design Manager at Ramirent. In Ramirent TwinSiteTM the users can themselves navigate and receive quality learning via VR in everything from effective solutions at a construction site to the safe handling of machinery and various risk factors. Training in the handling of quartz dust and handling of concrete cutting machines is first out. The user is able to, among other things, follow the quartz dust's journey into the lungs and lung sacs to see in a tangible way the damage it may cause. The experience maximizes the understanding and remembrance and therefore increases motivation to utilize effective dust control and to protect yourself. "Ramirent TwinSiteTM is a fully digital platform and the plan is that in the long run it will become globally available. The platform can also be used for effective product training and marketing communications, and not only for our own products. All partners will be able to use our platform wherever they are in the world or wherever their base is located," says Anders Vikmyr. "Research shows that experience-based learning and communication is superior to other methods. With VR we simplify and strengthen this further." 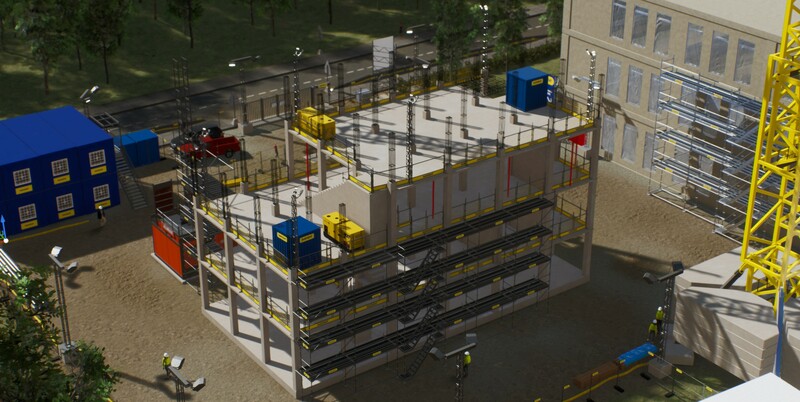 By using virtual environment, Ramirent can contribute to better planning of the whole lifecycle of the construction process of its customers; this includes everything from reducing waiting periods and planning the best safety solutions, to exploring which products will work best during the various stages of the construction process.